Two of the most prominent are a) The New York Times “The Republican Surrender“, and b) the Rachel Maddow chart shown. Now please, before you write that comment ‘you hate Rachel Maddow’ or ‘you’re going after thel NY Times’ hear me out for a second. Because I love Rachel Maddow and I’m a frequent reader of the NY Times. 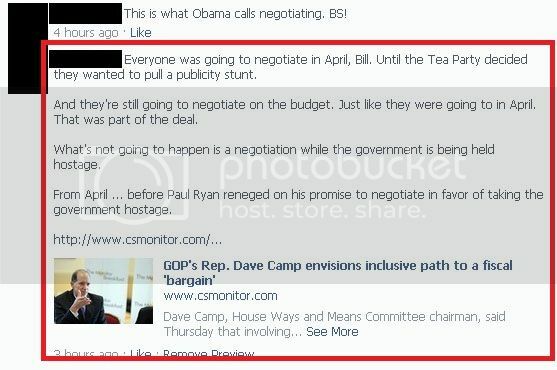 The Maddow picture, however, suggests we were in a negotiation with Republicans and they received nothing. The Times’ article suggests that we won a “war”. 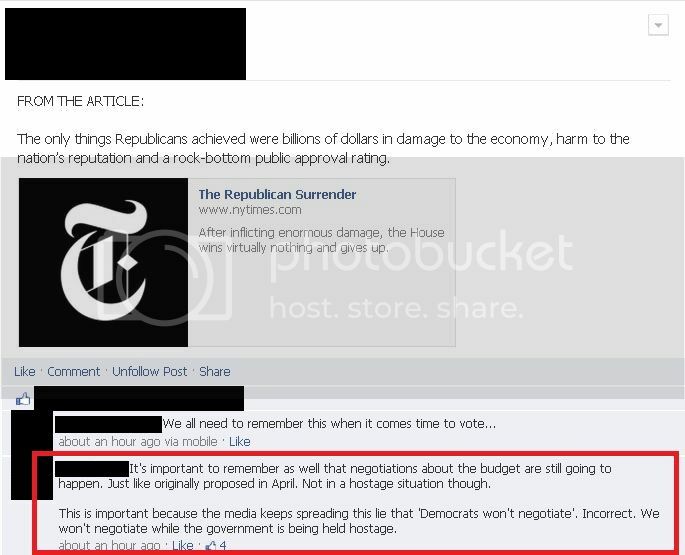 Note how the Maddow chart appears to a conservative who has bought into this idea that Democrats won’t negotiate. Now I could call out directly that this is a lie, but then this person, Bill, would be someone who believes a lie. So I decided to simply show him how Democrats wanted to negotiate before and how negotiations are still going to happen. Just not while the government was being held hostage. No accusations. No anger. No pointing fingers or confrontation or rubbing anything in his face. Just simply point out what happened and leave it. Democrats have been working to negotiate all along and negotiations are going to happen. First though, we end this hostage situation. As long as we clearly state the situation – the government was being held hostage – we are in the right when it comes to negotiation. No one feels you should have to negotiate in a hostage situation. You don’t have to argue. You don’t have to accuse. When you point this out, the person making the claim will typically go away. I don’t care. I want to win people over. It’s not that hard to do and this shutdown is a huge opportunity. Simply show people who was really trying to negotiate through a normal budgetary process without accusing them personally. Or without reinforcing their preconceived beliefs like Maddow (sorry … you know I love you, Rachel!) or the Times did. Show them how Democrats wanted to negotiate a budget all along yet conservatives decided to shut down the government anyways. Are you going to win over everyone? Psshhh. Of course not. 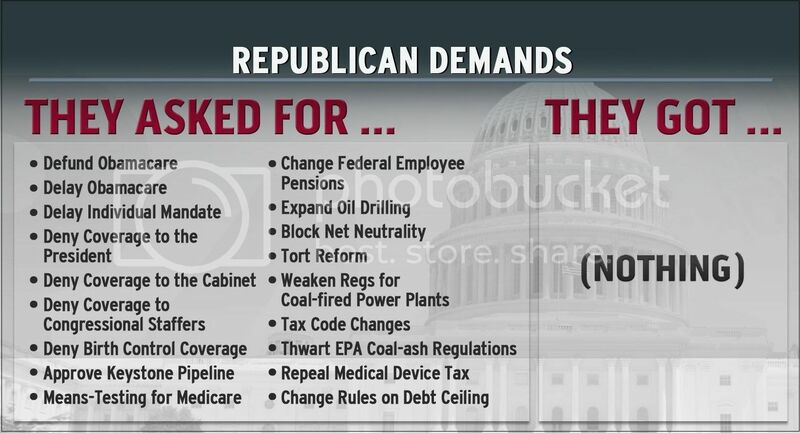 You’ve got a better shot though if people see the work Democrats did (BTW- Here’s the link to the article about the original budget negotiation agreement Democrats/Republicans struck in April before all this nonsense) and will continue to do in negotiations. 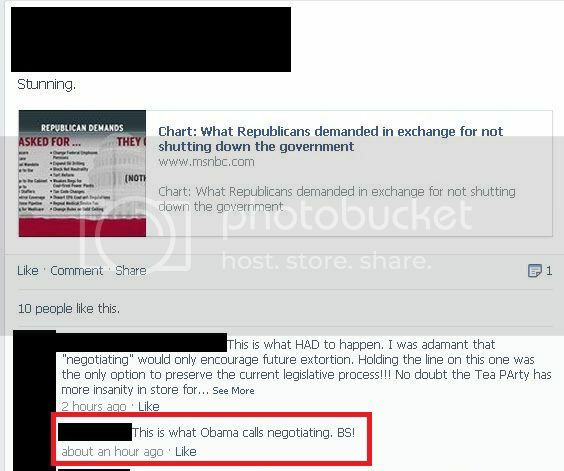 Negotiation is how government should work. Not threats, hostage taking, and demands.